I have decided to hold a Spring Sale on my Facebook page. I am currently selling many of my items *VERY* cheap including free shipping to the UK. Postage can be added for international buyers, but it should be too much more! Here’s a couple of pieces I have put up for sale…. Magic City ~ 16×20 inches painted on canvas. This is a piece I have never put up for sale before, but would usually be about £65.00 including postage on my Facebook page. it is now £40.00 including postage. Flowers in her Window ~ 16×20 inches in canvas. This one would usually be £65.00 but is now £46.50 including postage. You can check out the rest in my Spring *SALE* here. These sales are not anywhere else, so in order to purchase please message me! 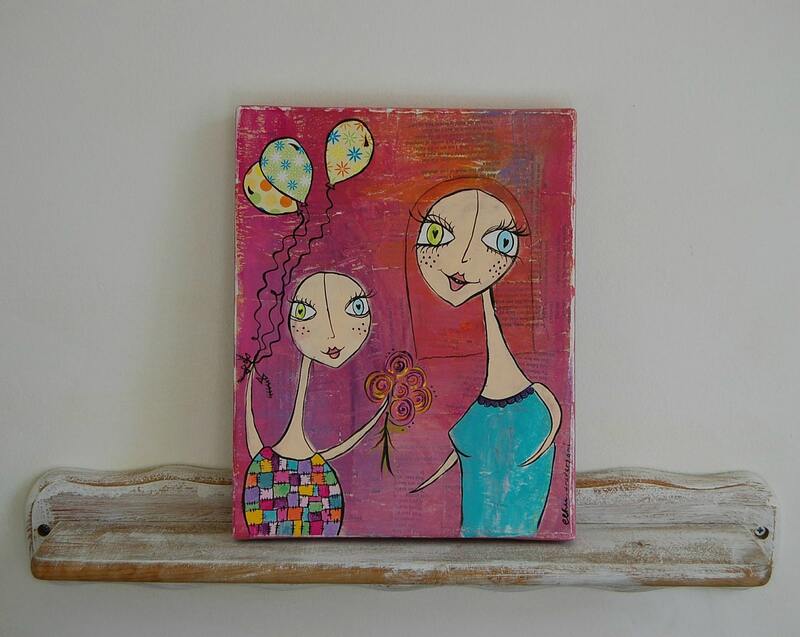 A new painting called ‘A Mother and Daughter’s Love’ is now available in my Etsy shop. It is perfect gift for Mothers, not just for Mother’s Day! This weeks post is a little late (by a few days) as I went away to see my friend Katie. I decided to pick my ‘Spooky Friends’ original canvas painting in relation to my trip, as Katie is one of the best friends in the World. 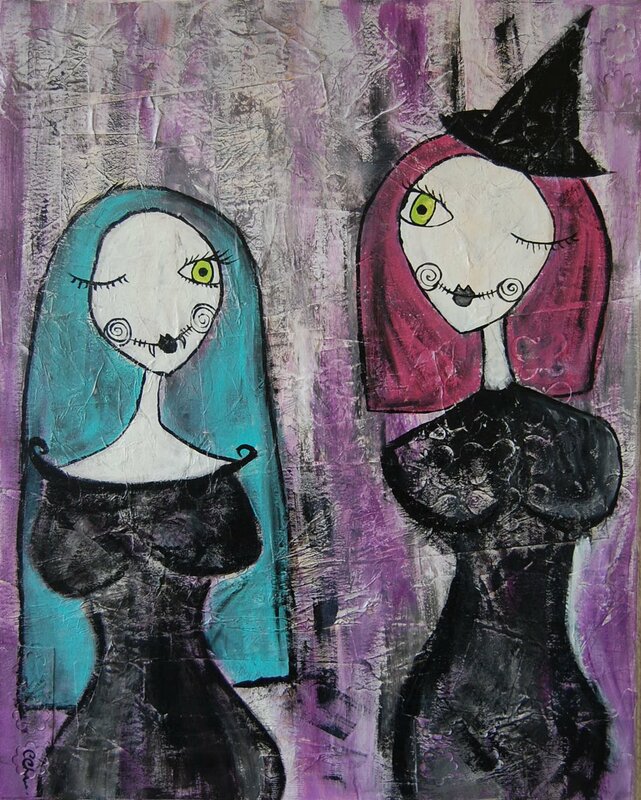 Spooky Friends is painted on 20×16 inch thin canvas and textured in the usual ripped and crumpled card, paper and butterfly stencils. It is painted in acrylic and emulsion paint and varnished with a protective glossy finish! This painting sold in August last year, and have also done two similar commission pieces! Commission pieces of this design can be done (but they will differ slightly!) You can also get a small copy in my Etsy shop, which is in the form of a blank note card here! This week I decided to pick one of the first paintings I did that I actually felt proud of. It is currently not for sale, but still hanging up on my living room wall. I think this is one I will keep because it represents a change in my style that I am glad I found. It is 12×12 inches and painted on thin canvas. 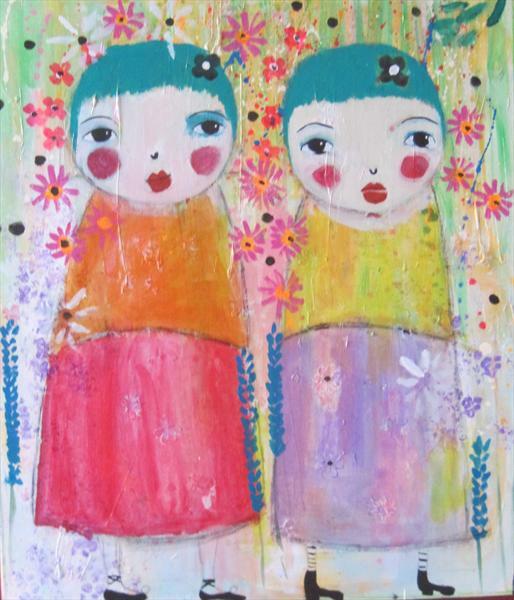 The canvas is textured as usual in ripped up paper, card and flower stencil. I have used some Shakespearean and musical note paper. 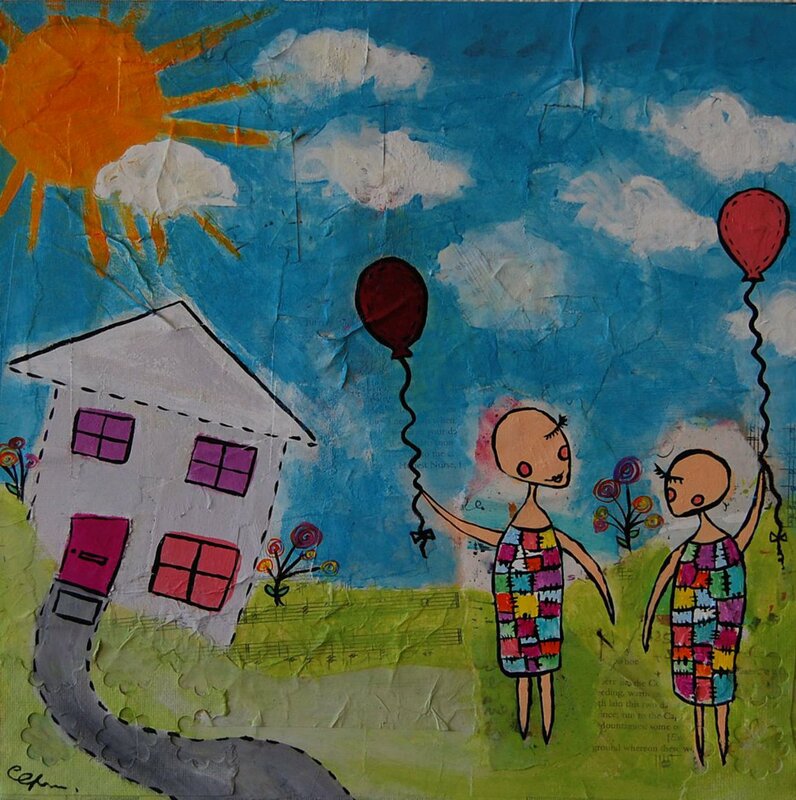 Since creating this painting I have used my patchwork girls in a couple of other paintings, and hope to use her many more times in the future.